I just got these great tweezers from KlipPro and I use them all the time. This is a really nice set of tweezers and they work really well. I love the color of them, they are a very bright pink. The end is slanted so you can really get the item you are trying to remove and get a great grip. They work really well for eyebrows but also things like splinters or other items. It has a comb on the end of it though, which I have never seen in tweezers before. This makes it really convenient for plucking eyebrows, you can use the comb to brush the eyebrows and then the tweezers to pluck. Very high quality and works really well. Hand-filed slant tip. Perfectly calculated tension and angle to provide good grips for maximum performance for tweezing your eyebrow or removing unwanted hair. 2-1 Tweezer and Comb to perfect eyebrow shape. This one tool handles 2 jobs in one. Colorful and stylish. Nicely packaged in a window box. Great as a gift. Great tool to pick up tiny objects such as small strands of yarn or as a first aid kit to remove splinters. Money back guarantee if you are not satisfied with our tweezers. Lifetime Guarantee. 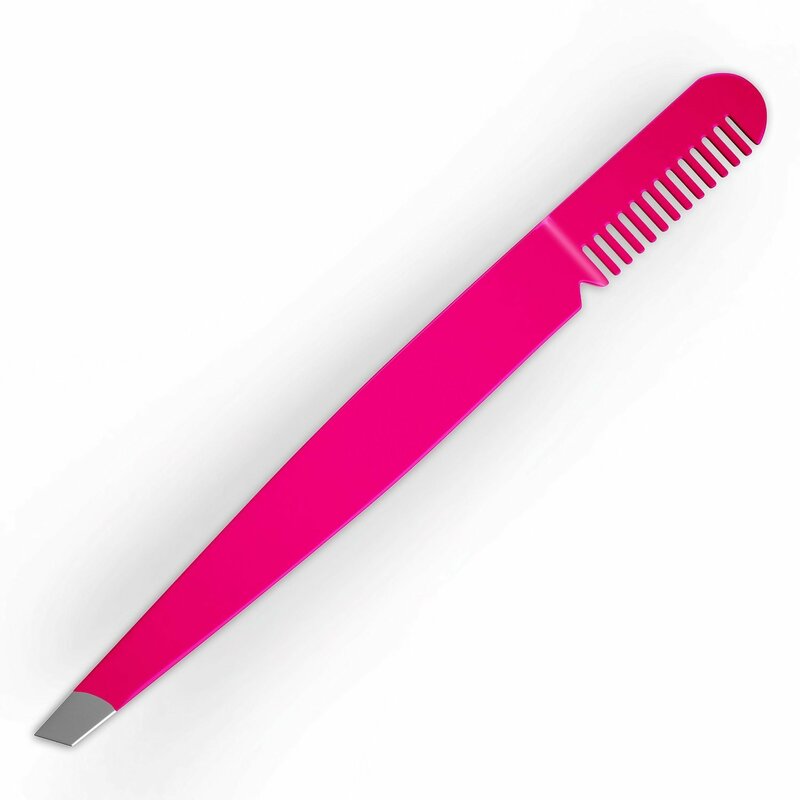 If our tweezers loses its effectiveness, contact us to get a replacement for free.